The UK Mexican crowd (and yes, there is a Mexican crowd. As in people with an appreciation for mexican food, not just Mexicans. Although I do love Mexicans as well, obviously) is decidedly mixed on the viscous subject of refried beans. In fact, there are some quotes from separate Mexican Cuisine Appreciators that have been brought to my attention as of late. Just so you’re aware, the black substance is not an extra-terrestrial’s giblets, nor is it tar. It is Refried Beans (or should that be “they are Refried Beans”?) and perfectly illustrates the problem we all seem to have with them. Firstly, they are not and shall not be included in the Big Four due to inconsistency. These RB’s look banging. These do not (although check out the Oh You Cook page for RBs because the recipe is actually really good. Despite resembling cat sick). I think I’ve made my point. Very few are going to eat anything that resembles cat sick, regardless of how tasty a delicacy it is. “Hang on,” I hear you potentially cry, “Why the @&#! would you fry beans twice? !” Well that’s where you’re going wrong. Refried Beans are not refried. They’re cooked in water and mashed. So stick that in your pipe and get bent, m’lady. However, this does mean they are a little healthier than many give them credit for. Good source of protein. Good carbohydrate. Y’know, fibrous. Secondly, if you have such a violent reaction to RBs then this isn’t necessarily to do with them. It’s like not liking semolina. Or flan. Everyone has foods they dislike, so stop complaining or at least attempt to make your own before you rule them out completely. God. Thirdly, they complement the flavours of any Mexican dish (including, yes, chos). Salsa is sort of sweet yet hot. Soured cream is cooling. Guacamole is creamy. Cheese is salty. Refried Beans are, sort of meaty and glutinous and taste a bit like dog food. But the sort of dog food you wouldn’t mind eating. It’s an acquired taste but if you’ve never taken a left turn down Bean Alley, it’s definitely worth a try. Fourthly, I think I just covered this. The fact they taste “like dogfood” isn’t a bad thing. It’s something to be experienced. Salt tastes like peoples’ tears but you don’t turn your nose up at Soy Sauce. In short: give the Refried Beans a chance. You never know, they may just float your fancy and tickle your boat. Unless they make you throw up, in which case, I apologise. I also apologise for the abundance of faux swearing. Not quite sure where it came from, to be honest. Clearly just having quite an obscene day. 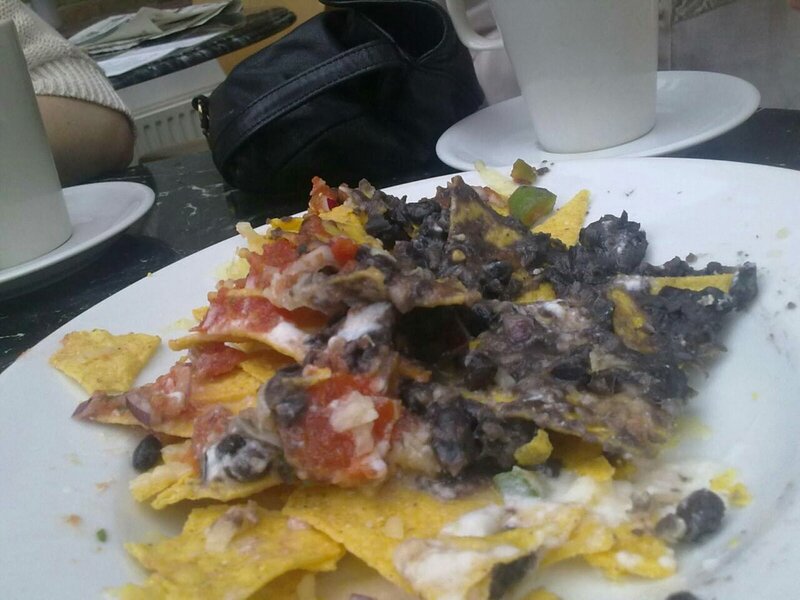 This entry was posted in HELLO I'M ON YOUR NACHOS and tagged refried beans, wisdom by 5tevie. Bookmark the permalink.